Stray and Kiwi Experience comparison. “Two epic hop-on hop-off bus companies; one awesome country! Who will win the backpacker bus showdown?” Is not the direction we are taking with this article. When it comes to travelling around New Zealand, taking a hop-on hop-off bus is a very popular option thanks to the flexibility, guidance, ease and sociability. If you still don’t know what the hell the hop-on hop-off bus is, then reading How the Hop-on Hop-off Bus Network Works in New Zealand should bring you up to speed. There are two worthy contenders for bus travel in New Zealand, Kiwi Experience and Stray. So, if you have decided that the hop-on hop-off bus looks awesome and is the way you want to see the beautiful New Zealand, then your next question is likely to be: “Should I choose Kiwi Experience or Stray?” Because of differences in routes, overnight stops, prices and passengers, choosing a bus company really comes down to the sort of experience you are looking for. Check out the video below to see the BackpackerGuide.NZ showdown of Kiwi Experience Vs. Stray. 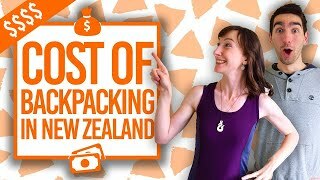 And if you want to see more of our New Zealand travel tip videos, be sure to subscribe on YouTube! What is the difference between Stray and Kiwi Experience? One way to help you decide which hop-on hop-off bus company to take is by simply looking where in the country the bus goes. Are these locations on your New Zealand bucket list? Are these the type of locations you want to see? Click on the image of the map to enlarge and compare the Stray and Kiwi Experience bus routes. 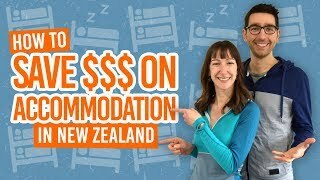 As you can see, their differences lie in the fact that Kiwi Experience has overnight stops at most of the main attractions, towns and cities you might have heard about, while Stray stops in locations you probably haven’t heard of. Where you stay overnight with the bus becomes more relevant when you have limited time in New Zealand. Remember, you can hop off and on the bus anywhere along its route. If you are on Stray, for instance, and want to hop off in Taupo, usually a main attraction city with lots to do, despite the bus not staying there overnight, then you can. However, if you just don’t have the time to keep hopping off the bus (as you usually have to wait a few days for the next bus depending on availability or the departure date), then where you stay overnight might become more important. You spend the most time in the places you stay overnight than the areas you are passing through during the day. 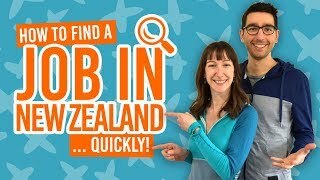 In this case, you would then need to ask yourself: do I want to stay in the popular New Zealand locations with Kiwi Experience or “get off the beaten track” with Stray? All that said, Stray is not exclusive to off the beaten track locations and Kiwi Experience is not exclusive to popular attractions. For instance, Stray will stay in some popular places like Auckland, Wellington, Queenstown, etc. overnight while Kiwi Experience will stay in a couple of “out there” locations like River Valley and Lake Mahinapua. So be reassured that which ever bus you pick, you won’t completely miss out on the location experience the other has to offer. It just comes down to deciding what type of location you want more of. Update: Stray now offers stops in Mount Maunganui on their 3-day “Beach Hopper Pass”. It’s no secret that Stray is the more expensive option out of the hop-on hop-off bus companies. Kiwi Experience also has an edge on pricing by including the Milford Sound cruise (worth about $50) with their full national pass, meanwhile with Stray passengers have to pay NZ$70-80 for two separate all-inclusive experiences overnight stops with Stray. But neither bus pass should be compared without checking out the sales! Once you get to New Zealand, check out the offers and deals on the bus company’s website. (You might not necessarily get as good of a deal from overseas). Both companies always have offers on – always! The bus pass price divided by the minimum number of days that you can travel on that pass. The minimum number of days is always displayed with the bus pass description. This will give you an idea of what would it cost you per day trip to take one option or the other. This can also help you compare this hop-on hop-off versus other bus networks. Generally, a good deal for Kiwi Experience is NZ$35 per day of travel and for Stray NZ$40 per day of travel. If you are on a super tight budget, then pricing could be a determining factor for your decision. However, we would still recommend getting the right bus pass for the type of experience you want in New Zealand. Find out how to save money on the bus with our How to Budget for a Hop-On Hop-Off Bus Trip Around New Zealand. This could be a decision breaker because no doubt you want to take the hop-on hop-off bus to meet some awesome people and share your adventure with. The core of the hop-on hop-off buses are 20-something adventurous backpackers from all over the world. That said, you can really meet a range of personalities, which change with each bus load. Although both Stray and Kiwi Experience have a mix of passengers, a pattern does seem to form on the buses in terms of the passengers they attract. On Kiwi Experience, there tends to be a larger crowd of 18-25-year-olds who are mostly from Europe. Stray attracts a slightly older 20-something crowd of varied nationalities. Stray passengers also tend to be more into hiking and exploring, while Kiwi Experience passengers enjoy jumping on the activities and an evening drink more. Then there’s the “party bus” comparison. 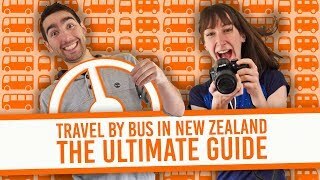 Yes, Kiwi Experience has had a reputation of being a party bus, but how much the bus parties really depends on what passengers you happen to be sharing the bus with that day. If you want to drink every night, join that drinking group! If not, then there’s often a group to join to enjoy the downtime. And, let’s be honest, drinking games and parties are usually instigated by the driver! So, it could depend on which driver you get too. So when it comes to partying and drinking, both Kiwi Experience and Stay get its fair share. Either way, you’re bound to meet an interesting mix of people. Sometimes you find people you get along with so well that you might find yourself wanting to travel the whole route with them. See what it’s like to be a bus passenger in A Day in the Life of a Hop-On Hop-Off Bus Passenger. We have heaps of information on the the hop-on hop-off buses in New Zealand, so check these articles out! How Does The Hop-On Hop-Off Bus Network Work in New Zealand? Tax System in New Zealand: What is GST?